I had more jars of crystallized honey than I could eat or give away, so I gave it to the bees and they loved it. They cleaned out every bit of honey from the jars. 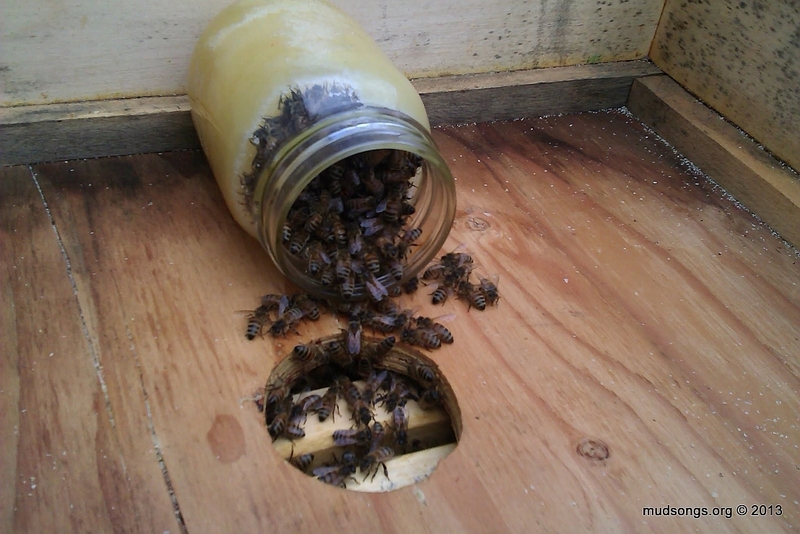 I eventually surrounded the inner cover hole with five or six jars of crystallized honey all at once and it worked perfectly as a spring feeding. This entry was posted in Feeding, Honey, Month of May, Year 2013 and tagged Video. Bookmark the permalink.